This morning's Facebook messages brought a question about the realistic viability, from a researcher's standpoint, of a "LDS access" account with say Ancestry.com. My correspondent indicated when querying Ancestry support, she was told "It's better to stick with your regular Ancestry.com account." Good marketing, and true in all but a few small cases. Let's review how this scenario would work, and let my DearREADER figure out what's best for her upcoming research plans. WHAT ARE "LDS ACCESS" ACCOUNTS? First, a member of the LDS Church must log in with his membership number at: www.FamilySearch.org. Then, the member must go to https://familysearch.org/partneraccess and click the appropriate button to sign up for or change to no-fee "LDS Access" with each desired partner website. 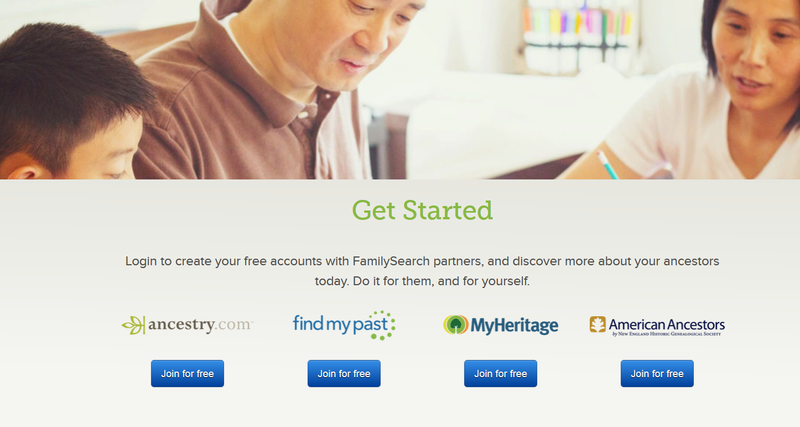 After this new registration process is complete, researchers may go to the website directly, without having to log in to FamilySearch first. I've spoken with top officials at two of the four partner websites to determine if my new "LDS Access" account is actually provided full access to every database in the site's collection, but alas it is not. Previous contract negotiations prevent these genealogy sites from providing free access to certain databases within their collections. WHAT'S BEEN OL' MYRT'S EXPERENCE? Admittedly, I do personal genealogical research only about 10 hours a week. However, since last fall, I have not encountered a database outside my "LDS Acess" viewing rights. If I do find a necessary database closed to my view, my plan is to re-up as a paying customer. I do not begrudge genealogy websites from garnering paying customers. It takes time, expertise and money to digitize records, provide indexing, and maintain a robust search engine on a genealogy website.